As the season begins to change and the weather cools, China Glaze® invites you to step inside for an evening of cocktails, gossip, flirtation and gorgeous nail color with the new Autumn Nights collection. Gab with the gals, clink those glasses and cheers to a fabulous Fall with nails that strike up a conversation. Cheers to China Glaze® Autumn Nights, available in September 2013 at fine salons and beauty supply stores as open stock colors, 6 piece box collections, 6 piece counter display, 12 piece counter display and 36 piece rack. China Glaze® nail lacquers are available through salons and professional beauty supply stores nationwide. 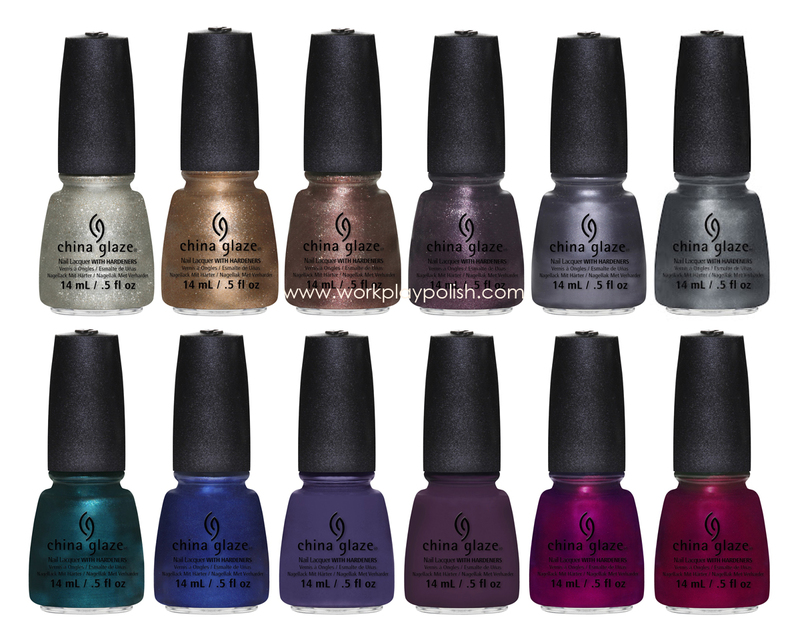 For more information, please visit www.chinaglaze.com or follow China Glaze on Facebook (@ChinaGlaze), Twitter (@ChinaGlazeOfficial), Instagram (@chinaglazeofficial) and Pinterest (pinterest.com/chinaglaze).